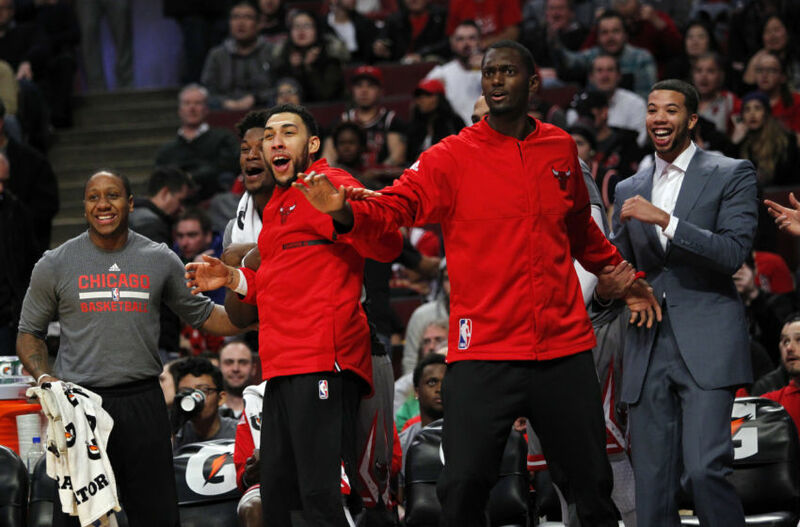 The Chicago Bulls were throttled by the Minnesota Timberwolves to the tune of 117-89 on Feb. 12. The loss dropped them to 26-29 on the season, thus raising the question of whether or not it’s time to consider a rebuild. 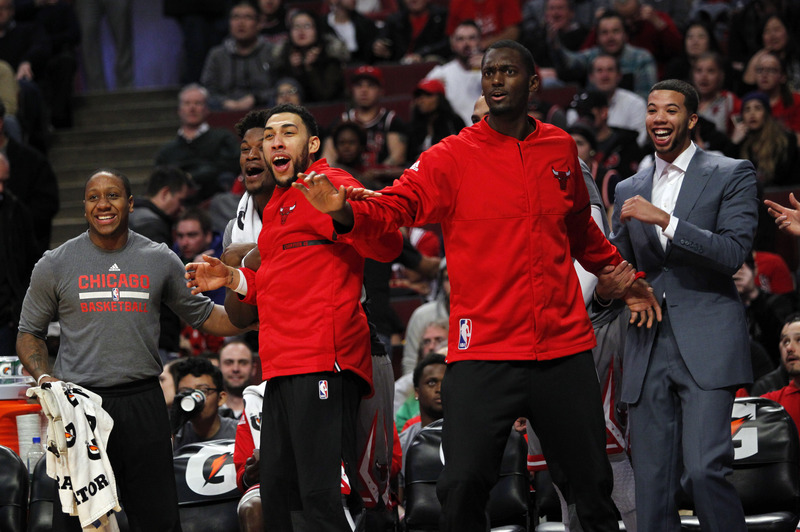 The Chicago Bulls dropped to 26-29 following a 117-89 loss to the Minnesota Timberwolves on Feb. 12. This should be a concern for two reasons: 1) The Bulls concluded their six-game road trip with three consecutive losses after a 2-1 start and 2) Their most recent defeat marked the third straight time in which they were beaten by at least an 18-point margin. To be fair, it should be mentioned that Jimmy Butler (bruised right heel), Dwyane Wade (bruised right wrist) and Nikola Mirotic (back spasms) were out of the lineup against the Timberwolves, meaning that the Bulls had just 10 healthy players to work with. 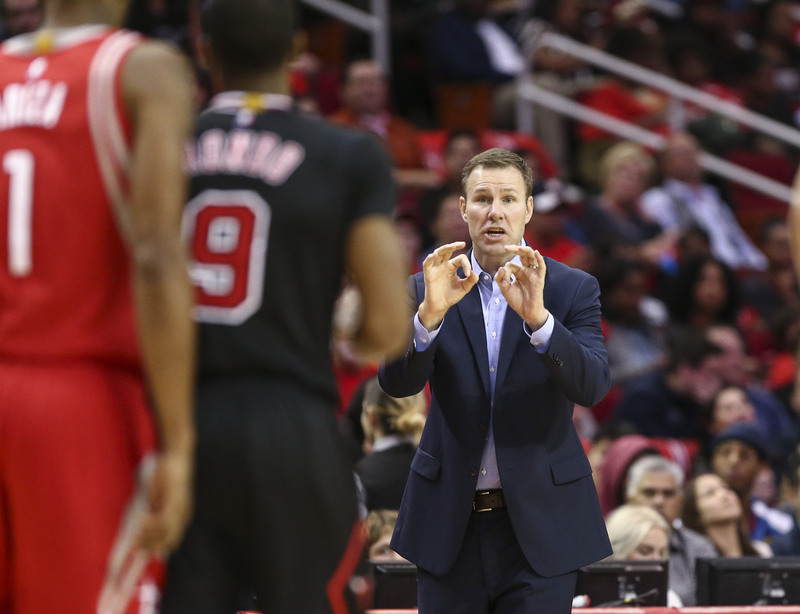 However, despite the lack of talent, there was no excuse for the effort level the Bulls displayed from the tip-off. The Timberwolves jumped out to a 34-17 lead after the first 12 minutes, and were never really challenged after that. With yet another humiliating, head-scratching loss on their 2016-17 resume, the burning question becomes, is it time to consider a rebuild? The answer to this question is a resounding yes and here are the reasons for that assessment. The Bulls have played 55 games with just two more remaining before the All-Star break and we have yet to figure out what kind of team they are. Early on, things looked good for the Bulls as they posted a 4-2 mark on their annual circus trip. Additionally, the Bulls have produced victories against the Cleveland Cavaliers, San Antonio Spurs, Boston Celtics and the Toronto Raptors. With victories against some of the top-tiered teams in the league, the Bulls should be considered at least a decent ball club, right? You see, for all of those impressive victories, there are other instances in which the Bulls didn’t bother to show up. Case in point, in three meetings against the Milwaukee Bucks this season, the Bulls are 0-3, losing by average of 19 points per contest. If that wasn’t bad enough, the Bulls are 0-2 against the New York Knicks and the Dallas Mavericks. Furthermore, with their recent drubbing at the hands of the Timberwolves, the Bulls are now 0-2 against their former coach. What do all of these teams have in common? None of them are currently in the playoff picture. Having said that, what are we to make of a ball club that manages to beat good teams on certain nights, but then loses to inferior opponents? Are you having a difficult time coming up with a reasonable answer? Don’t feel bad because no one in the organization seems to have an explanation for the team’s inconsistent play either. 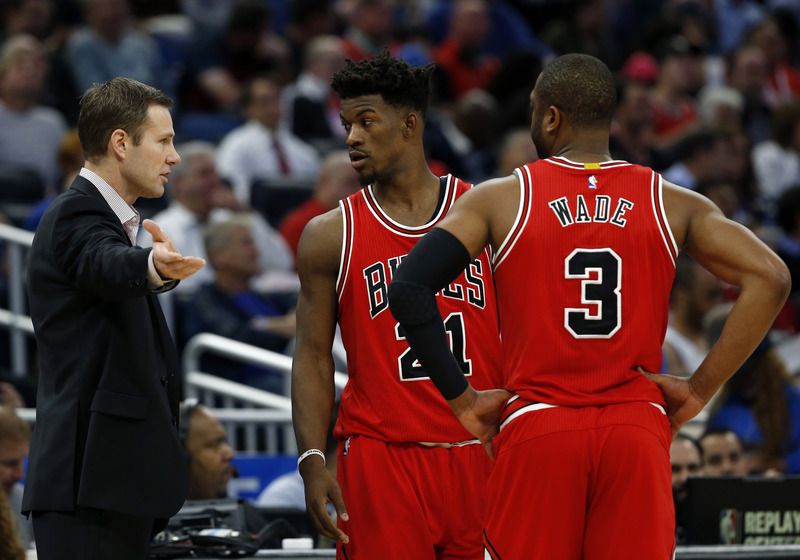 After the Bulls were eliminated from the second round of the 2015 playoffs, the front office was so confident that former coach Tom Thibodeau was the problem that they hired Fred Hoiberg within a week of showing Thibodeau the door. In Hoiberg’s first year, he decided to bench Joakim Noah before the season even started and was called out by Butler, who stated that Hoiberg needed to coach the team harder. While both sides managed to move forward after those comments, the Bulls eventually stumbled to a 42-40 record, missing the playoffs for the first time since 2008. 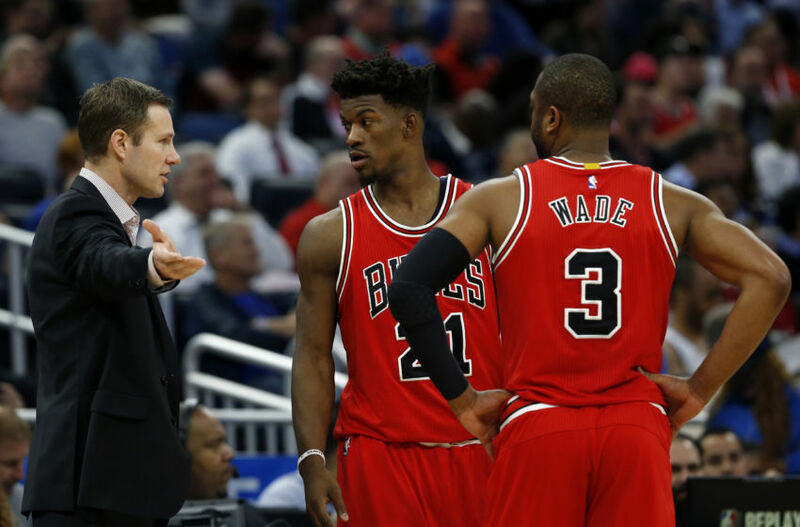 Following an offseason in which they added several new faces to the roster, things were supposed to be better for Hoiberg and the Bulls in year two. Not only has that not come to fruition, but for the first time during his short tenure as head coach, the Bulls are three games below the .500 mark. 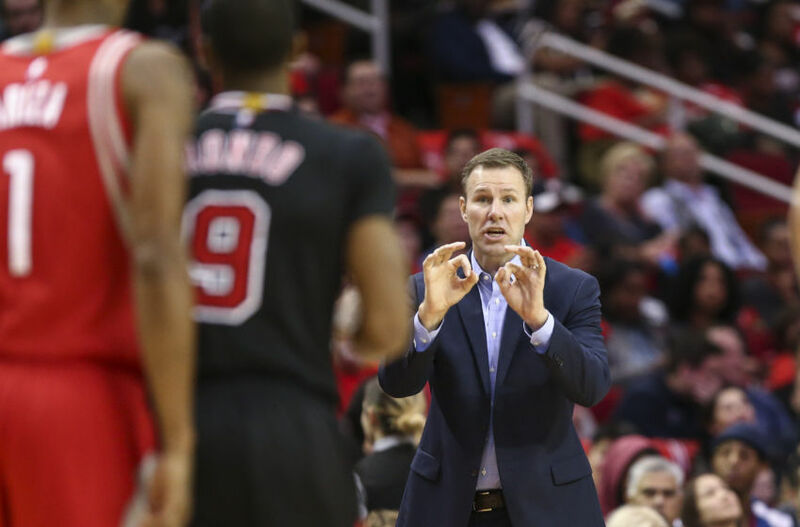 Whether the Bulls’ mediocre season has to do with Hoiberg’s inability to coach, or that his message simply does not resonate with the players, it is becoming painfully obvious that the two sides are not a good fit. 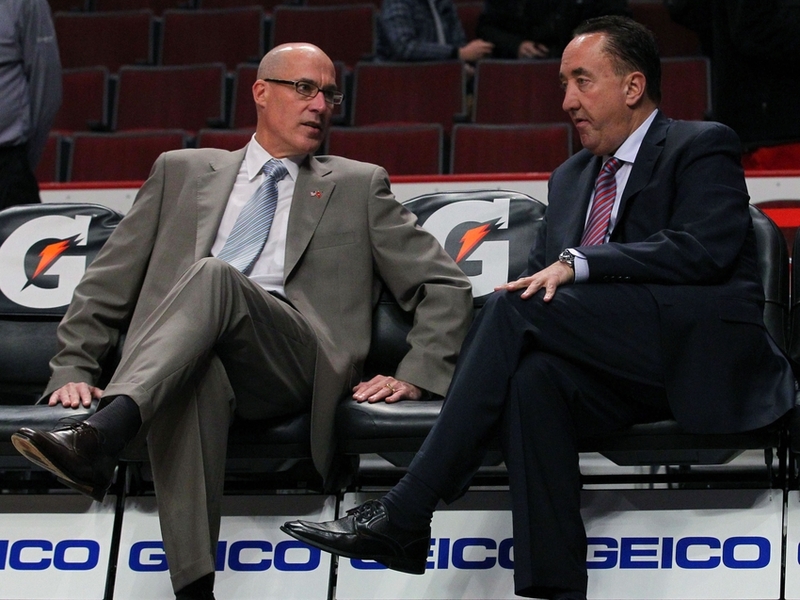 Unless significant changes are made, Bulls fans can expect to see more of the same. Jimmy Butler is having another breakout season, averaging a career-best 24.5 points to go along with 6.4 rebounds and 4.8 assists per contest. Wade — who is in his 14th NBA season — is also having a productive season, with averages of 19.1 points, 4.5 rebounds and 3.8 assists. 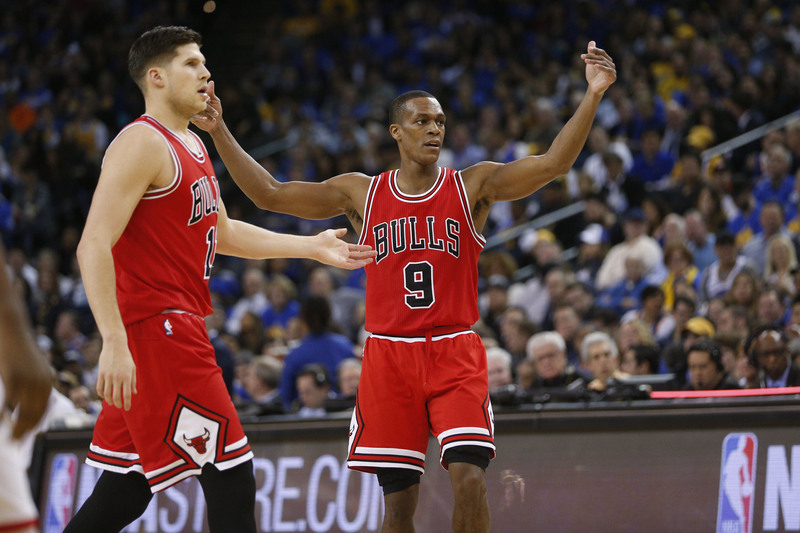 So despite their glaring weaknesses in other areas, the Bulls do have a formidable one-two punch. The problem is the supporting cast, or lack thereof. Sure, Robin Lopez (9.8 points and 6.9 rebounds per outing) and Taj Gibson (11.6 points and 7.0 rebounds per contest) effectively play their positions, but neither player is a guy the Bulls can go to for a game-changing bucket in a close game. Furthermore, the bench hasn’t come close to living up to expectations. Although Doug McDermott is averaging a career-high 9.9 points per contest, he hasn’t taken the leap from a defensive standpoint. Meanwhile, Mirotic — who was supposed the fill the team’s need at the stretch-4 spot — isn’t shooting the ball at an efficient clip. In fact his 9.0 points per contest on 38 percent shooting overall and 30 percent from beyond the arc are all career-lows for the third-year forward. To further illustrate how ineffective the second unit has been up to this point, we need to look no further than Paul Zipser — who was the 48th overall pick by the Bulls in the 2016 NBA draft — is now the first guy off the bench. The fact that Hoiberg is giving more playing time to a rookie he used sparingly during the first two months of the season speaks volumes to the fact that Chicago’s recent first-round selections are not making the cut. The Bulls front office has had its fair of share of misses over the past few seasons to put it mildly. Last week, I wrote about some of those misses in detail. But instead of focusing on the fact that the front office has failed to produce an impact rotational player since selecting Butler with the 30th overall pick in the 2011 draft, let’s focus on their recent blunders instead. For starters, one of the reasons why the front office hired Hoiberg was because of the pace-and-space offense he implemented doing his five-year run with Iowa State. And what did John Paxson and Gar Forman do for their hand-picked guy who they labeled an offensive guru? They provided him one of the least athletic rosters in the league, something Rajon Rondo alluded to earlier in the season. 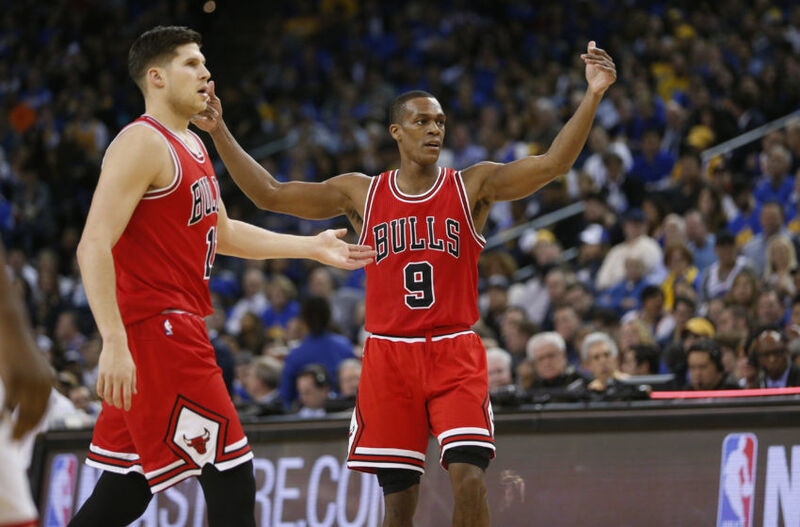 In addition to the lack of athleticism, the Bulls are last in the league in three-point shooting percentage (31.6 percent). They are also ranked last in three-point attempts per game (20.4) and makes from beyond the arc (6.4). Taking these factors into consideration, how can this Bulls team realistically compete with a roster that has so many noticeable flaws? Yes, they currently own the seventh spot in the conference playoff race for the time being. But because they have just a half-game lead over the Detroit Pistons, that is something that could easily change over the next few days. 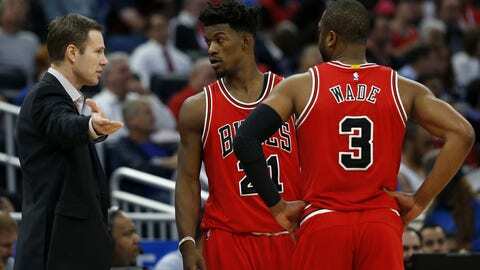 And even if the Bulls do manage to qualify for the playoffs, they are looking at a first-round exit at best. That holds true not just for this season, but for the foreseeable future as well. In other words, it’s time for a total rebuild, which should include not only roster changes, but also changes to the front office and the head coaching position as well.